Set on the northern shore of Lac Léman (aka Lake Geneva) in French-speaking Switzerland, Lausanne is a city of two halves. 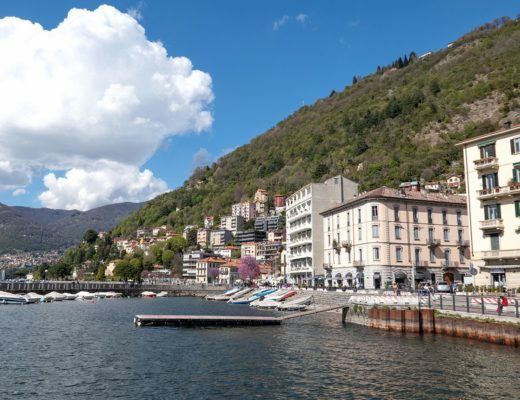 Uphill is a old town of historic churches and narrow shuttered townhouses, then downhill is a lakefront resort of parks and castle-style hotels. 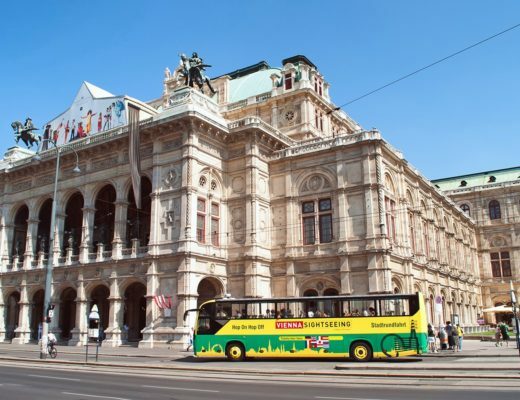 Though these days the two halves are connected by the world’s steepest metro line to spare your calves from an onslaught of hill-climbing. 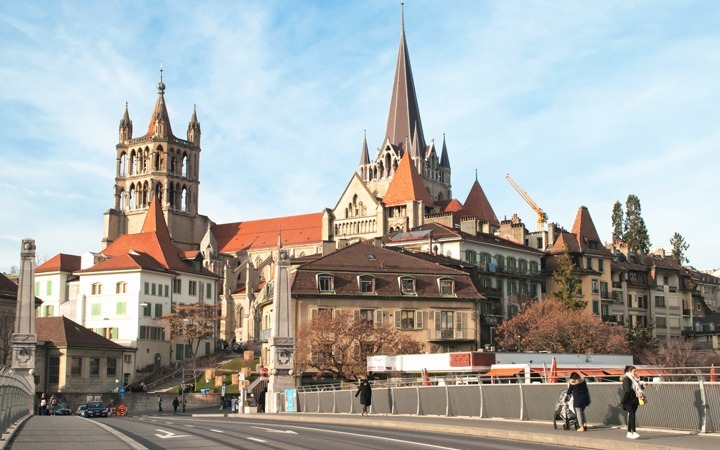 Lausanne still has a traditional Swiss feel – cheese, chocolate and beautiful mountain scenery are all in plentiful supply. 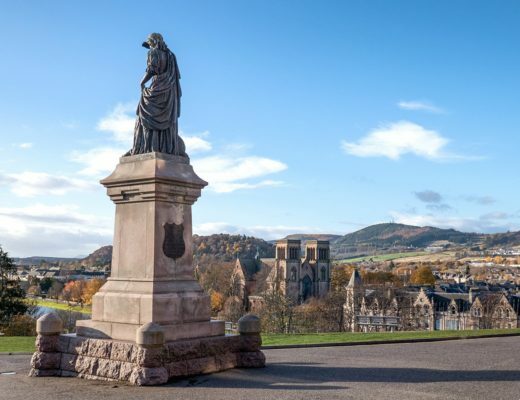 But with students making up a third of the population it’s looking to the future too and has more bars and clubs than anywhere else in the country. And it’s all only 40 minutes from the airport in Geneva. 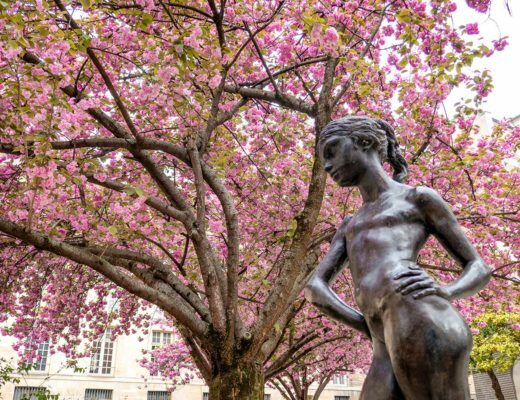 So if you fancy a Swiss escape, here are some of my favourite things to see and do in Lausanne. Lausanne’s medieval old town is a hillside web of cobbled streets and covered wooden staircases to explore. And towering over it is Switzerland’s largest cathedral. It was built by the Catholics in the 13th century, but was stripped of its ornate gold and tapestries during the Reformation – all that’s left are the stained glass windows and the south portal with its original painted statues. It’s an impressive building but hides a secret quirk. If you stand in the nave you can see it’s not quite symmetrical as it had to be built on an angle when it was extended or it would’ve hit the neighbouring Bishop’s Palace. 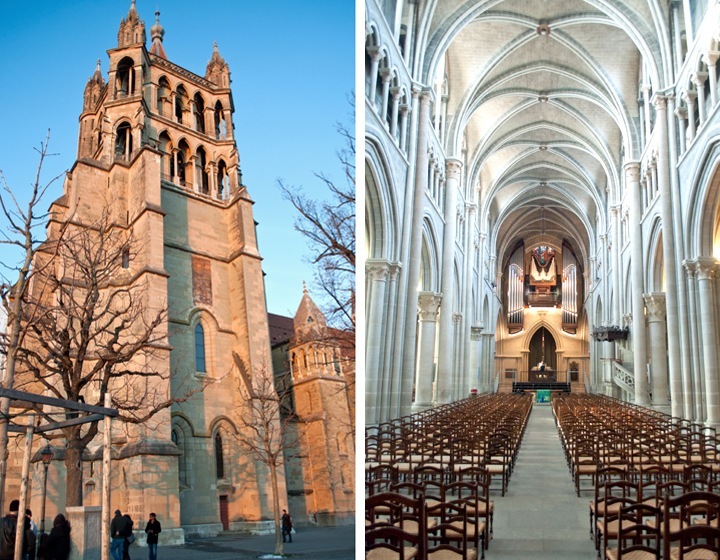 The cathedral’s also home to one of Lausanne’s oldest traditions – the night watchman. Every night since 1405 a watchman calls out the hours between 10pm and 2am from the tower. The first watchmen were fire lookouts back when most houses were made of wood, and they’re still letting local residents know all’s well 600 years later. Not far from the historic heart of the city is an area firmly in the 21st century – the Flon district. Built in a dip between two of Lausanne’s hills, it started life as the valley of the river Flon but was covered over by warehouses in the 19th century. When they were abandoned in the 1930s, the area ended up as an decaying eyesore with a bad reputation until it was resurrected at the end the 1990s. Old buildings were renovated or torn down and replaced with cutting-edge architecture, and the area was filled with a mix of quirky shops, galleries, restaurants and bars. Art and architecture are a big part of the area, from innovative buildings that breathe in and out to regulate their temperature to murals on old warehouses. Check out vintage furniture at interiors store Port Franc, grab a drink under the arches of the old bridge, and finish the night off at cult nightclub Mad, which pulls in visitors from all over the country. 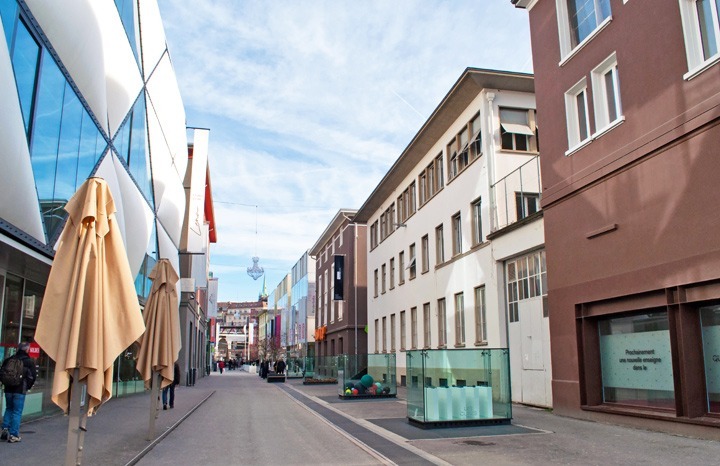 Most cities can boast a range of museums and galleries, but Lausanne’s are a bit unusual. First up was the Olympic Museum, recently renovated and set along the lakeside. 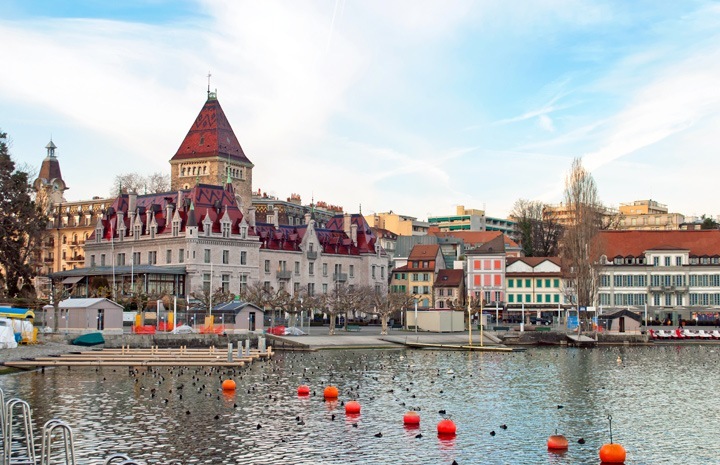 Lausanne is home to the International Olympic Committee after it was moved there by Pierre Coubertin, the French founder of the modern Games, to keep it safe during WWI. 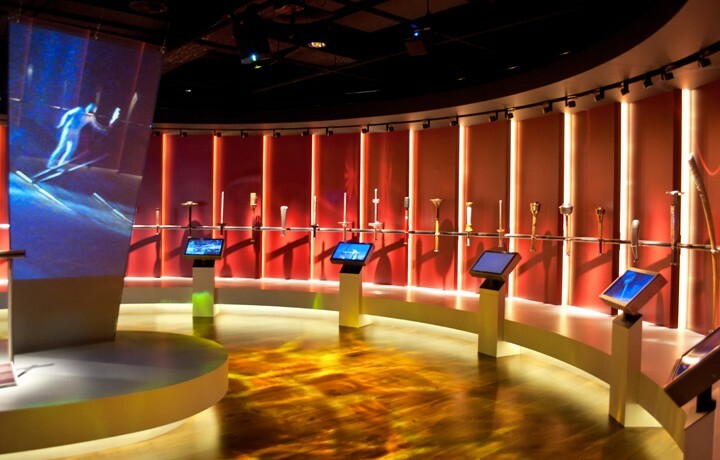 The museum takes you through the history of the games, with torches and medals from all the past games as well as simulators so you can give some of the sports a try yourself, and gardens full of sport-inspired sculptures. Then second was the Musée de l’Art Brut. Instead of the usual famous names, in this gallery of ‘outsider art’ the artists and sculptors are psychiatric hospital patients, prisoners or social outcasts – none of whom have had any arts training. 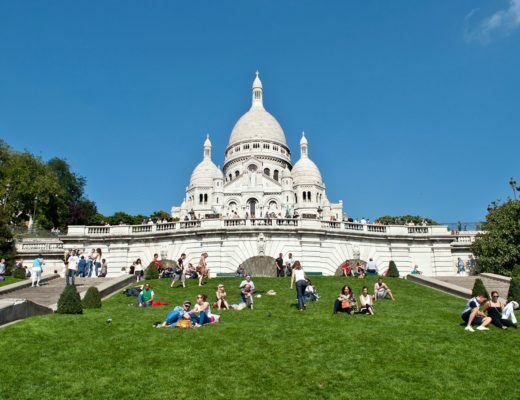 And if that’s not enough there’s also the Elysée museum of photography and Hermitage Foundation art museum to visit. 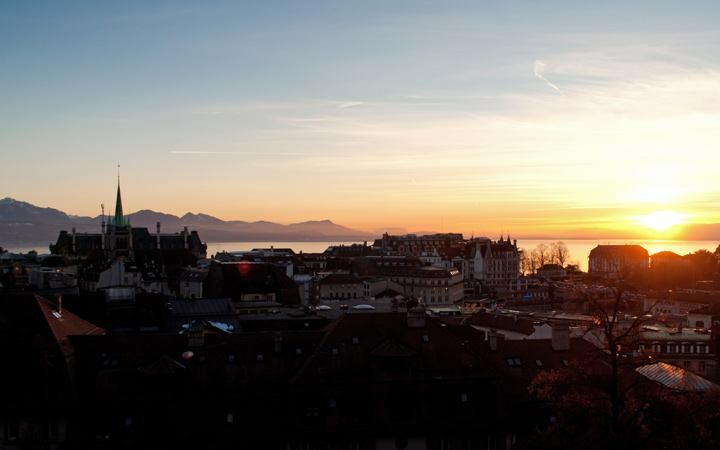 The spectacular views across Lac Léman are part of what makes Lausanne so special. Over its wide expanse of water is the French town of Evian with the snowy-capped peaks of the Alps behind it. We soaked up the misty winter scenery on a walk along the lakefront, but in summer you can get out onto the water yourself. There’s windsurfing, wakeboarding and rowing, or if that sounds a bit energetic there are plenty of boat trips. You can take a fondue cruise past the Lavaux vineyards to Montreaux on board a paddle steamer, sail a solar-powered boat along the coastline or head out in restored 1930s wooden barge called La Vaudoise which is run by the ‘Brotherhood of Pirates of Ouchy’. Ouchy is the name of the area near the waterfront that was once a separate fishing village. Today it’s home to a row of luxurious hotels, including the Hôtel Angleterre where Lord Byron wrote his poem ‘The Prisoner of Chillon’. It wouldn’t be right to visit Switzerland without stuffing yourself with cheese and chocolate. We headed to local favourite Café du Grütlí, which has been serving fondue since 1849. Their speciality is a gooey, cheesy concoction that comes with a bag of hot potatoes for dipping and a plate of thinly sliced rare beef. And for hot chocolate visit Le Barbare, a tall old house next to a 13th-century wooden staircase. Their rich, decadent chocolate will give you the energy to tackle Lausanne’s hills. There’s more to Swiss food than dairy products though. 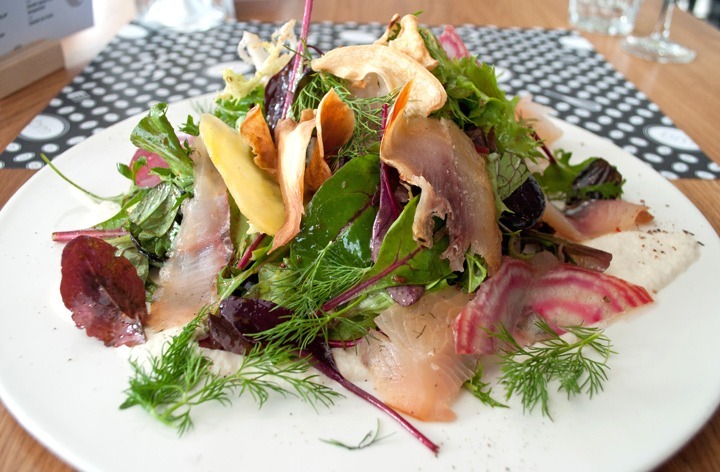 We tried féra (a lake fish) and Lavaux wine at the Brasserie de Montbenon over lunch with panoramic lake views. Also check out the old town market on Wednesday or Saturday mornings for cured meats, wild mushrooms and piles of fragrant spices. 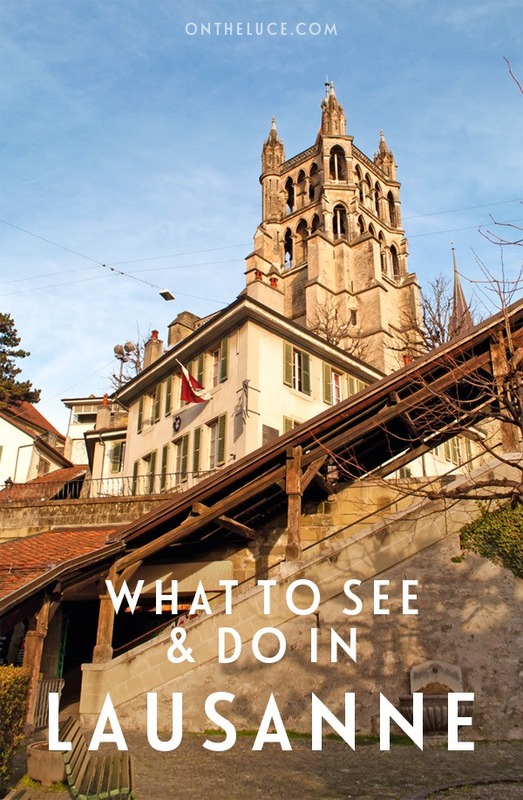 The Places We Love guide (available from the tourist office) has lots more locals’ tips for interesting places to eat, drink and shop in Lausanne. Have you ever been to Lausanne? Do you have any other must-sees to add? Looking for somewhere to stay in Lausanne? Thanks to Lausanne Tourisme for hosting me. This article contains affiliate links, where I get a small commission at no extra cost to you – thanks. Sounds like a fabulous place to visit!! It was really fun – good mix of things to see and do (and eat!). 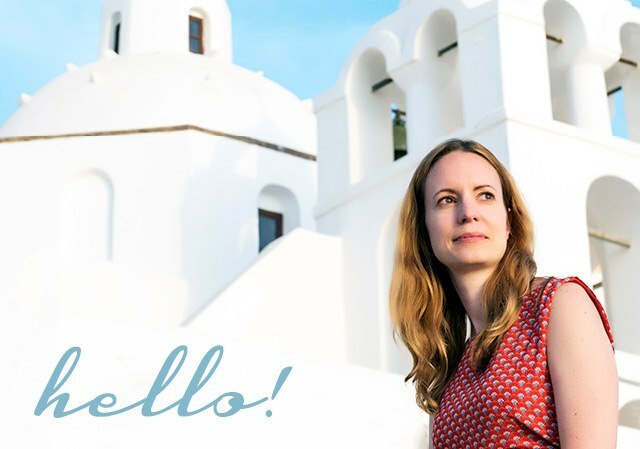 Thanks Jo, it’s a stunning spot (and the weather behaved perfectly!). Switzerland is one of my favourite places in the world and I loved Lausanne, we went for a swim in the lake on a beautiful summer’s day and it was heavenly!! If you liked Lausanne I’d recommend a visit to Thun! Switzerland has some lovely places – I’ve travelled around a few but not been to Thun yet so will look that one up!